Choosing the best grow lights can be confusing for the average consumer. Many brands misinterpret or misrepresent scientific data to dazzle readers knowing that it’s irrelevant because they want to hide the truth about their products. At HGC, we know that using LED lights to grow plants can be tricky. Some people may want high pressure sodium (HPS) or metal halide (MH)We know how confusing it can be and we know how important good lighting is to your grow and your harvest. Many years ago when we were just growers, we were confused as well but this is where our lighting knowledge and experience comes in. Let us break it down for you, from overall cost to performance to design and components. Contact us today. ​Grow lighting technology is advancing every day. So which is best, and for what? Below is a brief explanation of the different lighting technologies most commonly utilized in indoor grow applications. Coupled with very high lumen output and a red/orange dominated light spectrum, HPS bulbs are considered the industry standard for flowering. While cheaper bulbs may start out burning bright and providing good growth, their spectrum is limited and consistency after 3-6 months is highly questionable. A quality HPS will burn at around 2000-3000 kelvin, and have a 9-12 month life expectancy when used for 12 hours per day, (4000 hours of usage) and contain a broad spectrum capable of delivering not just red light but a decent amount of blue light as well. 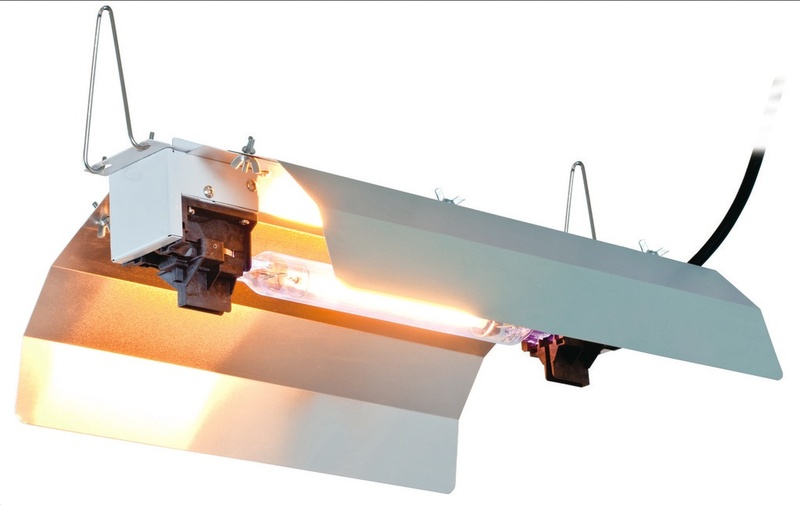 The newest in HPS technology, DE bulbs are making a huge splash in the industry. The first benefit of the DE lamp is the extended life of the lamp, with a claimed 90% lumen maintenance at 10,000 hours. A standard lamp could be at that same point at 4000 hours. The second benefit is the increased PAR value in the light emitted. Being that the arc tube is housed in quartz glass, an increased amount of UV content in the lamp results in improved essential oil production. MH bulbs emit light that’s most strong at the blue end of the light spectrum. A high quality MH bulb will burn at about 6000 Kelvin and helps produce compact, lush, green growth and should be monitored for maintenance after 6-10 months depending on whether used for 18 hours to 24 hours per day. Cheaper MH bulbs can appear a white-green in color, produce growth that is not as compact as desired, and have an expected life of 3-6 months. One of the newest innovations in lighting technology with low wattage consumption and high PAR output. LEP is completely solid state, with no moving parts and is suitable for damp environments. 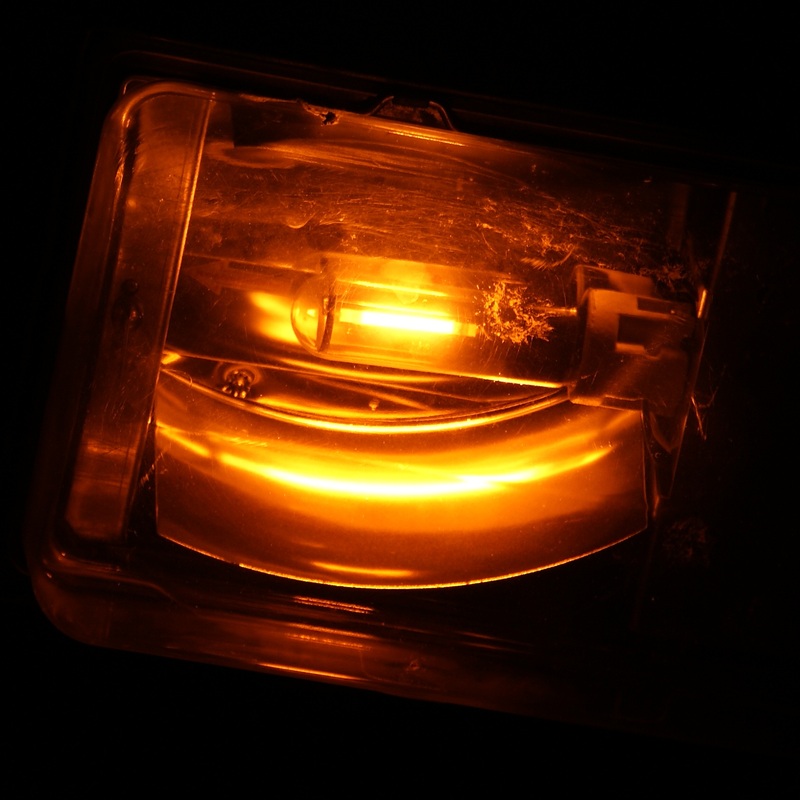 LEP (Light Emitting Plasma)technology is unique in how molecules in an emitter transform into a plasma state when excited by a radio frequency driver. This system doesn’t require electrodes or a filament, which means a very long bulb life expectancy (50,000 hours). LEP lights emit a light color of light around 5600 Kelvin and provide a sun-like spectrum which is considered to be the best light to grow the highest quality produce. LEC is a relatively new iteration of a classic metal halide. The superiority lies in the ceramic tube which allows the bulb to burn at a higher temperature, creating an amazing spectrum of light that is much closer to light from the sun. Philips 315 bulbs have two color temperatures. The 3100 Kelvin is great for flowering and a broad spectrum balanced well in both red and blue hues, and a 4200 Kelvin which is concentrated in the blue spectrum. LED fixtures use optics to achieve a narrow distribution of light, with the majority of light falling in a concentrated pattern directly below the fixture. This type of light pattern is ideal in settings with widely spaced plant rows where light lost between rows should be minimal. 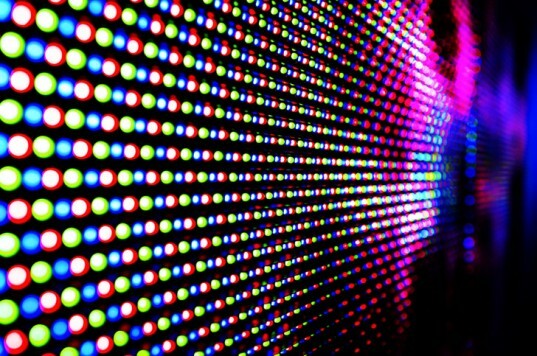 The most electrically efficient colors of LEDs are blue, red, and cool white. LED fixtures generally come in combinations of these colors in order to dose specific wavelengths of light to control aspects of plant growth. While the future outlook for LED usage in plant growth scenarios is promising, current available fixtures are not cost efficient when compared to traditional HID lighting. Having a very low profile, low heat output, and low wattage consumption makes these ideal for seedlings, cuttings and young vegetating plants. Typically these systems are customizable with different bulb lengths and varying numbers of bulbs per fixture. Allowing for the adequate illumination of areas as small as 2’ x 2’ to as large as 4’ x 4’. Fluorescent lights are available in both 3000 Kelvin and 6400 Kelvin, allowing for a good mix of both red and blue light spectrums. What are the drawbacks of using 5Watt, 10Watt or larger diodes in a grow light? The first issue is heat dissipation. As the diode size increases, so does the amount of heat that needs to be dissipated by the diode chip. Larger wattage diodes need larger heat sinks to dissipate the heat that they give off. This results in heavier and bulkier lights. The second issue is of chip density. Since the 5Watt and 10Watt diodes give off more heat, they must be spaced further apart to avoid thermal failure. They cannot be packed as densely as the 3 watt chips. The result is a less densely packed grow light that is heavier and bulkier. Ultraviolet (UV) light makes up a part of light. The human eye cannot see ultraviolet light as it is shorter than visible light. This ultraviolet light can be harmful to animals when they are exposed to it over a long period of time, according to the Ozone Hole. Fortunately, the clouds and the ozone are capable of deflecting enough of the UV radiation to where it is not too harmful. When plants are hit with ultraviolet light, this event triggers the plant's defense mechanisms. The plant then becomes more resistant to insect attacks as it releases 15 defense proteins. The ultraviolet light also affects message pathways that impact plant development, growth and metabolism, according to Washington State University. The ultraviolet light tricks the plant into thinking that it is wounded, which occurs when the plant is being feed on by insects. However, the ultraviolet radiation does not help the plant compete with weeds, according to Plant Cell. Ultraviolet light can also do damage to the plant's physiological processes. UV-B radiation reduces the amount of pollen that the plant is able to release, according to Plant Cell. The UV-B also reduces the biomass of the plant. These plants also experience epidermal deformation and cuticular wax composition. These effects not only come from the DNA damage but also from protein destruction, hormone inactivation and signal transduction, which is a conveyance of signals, through phytochrome. These changes can cause damage to the plant tissue, which can eventually cause plant death. Some kinds of ultraviolet light can cause more damage to plants than others. UV-C protons are very energetic and are very highly absorbed by the plants, so they can do a lot of damage very quickly, according to Plant Cell. Because of the speed in which the UV-C protons affect the plants, they are usually the rays used to study the affects of UV light on plants.